Because Facebook has more than 1 billion active users per month, it’s a great place to retarget your lost visitors.Ever since Facebook’s retargeting advertising platform became accessible for business owners through third party companies, they used this tool to win back potential clients and increase sales. AdRoll, Perfect Audience and ReTargeter are just a few of many available options. 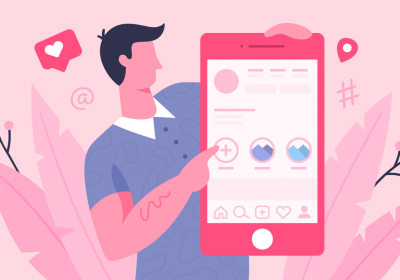 These partner companies were built on the same basic concept (mark your lost visitors and win them back), but they followed different paths in order to improve their services. Depending on which partner company you choose, there are several pros and cons. Although you may receive solid customer support, there is also an additional fee when you use a third party company. If you ever wished there was a guide to make your work easier, help you set and run a campaign, this one is for you. By offering a wide coverage on the Internet and a user-friendly interface, AdRoll is leading now in many countries. 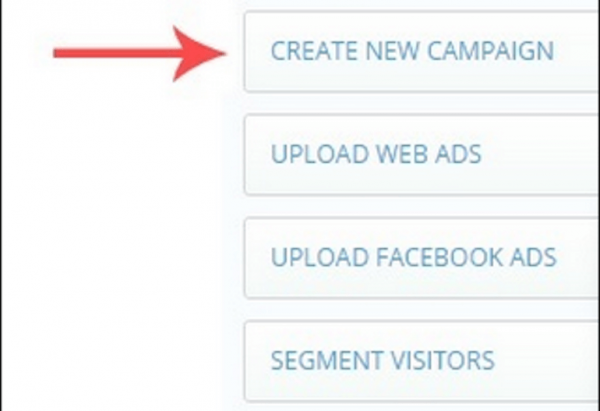 Not only does it make it easy to segment your audience, but it also comes with solutions for quick campaign analysis. 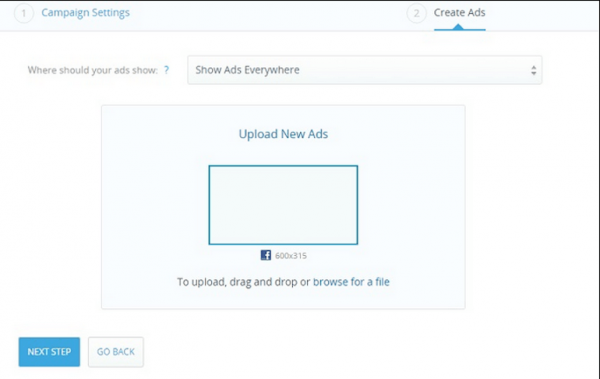 AdRoll makes possible to set a Facebook retargeting campaign within 10 minutes. Just log into your account, take a look on your dashboard and follow a few very easy steps. You will have to wait up to 24h before any stats would be available. If your SmartPixel is active, you can spot a green checkmark next to it. 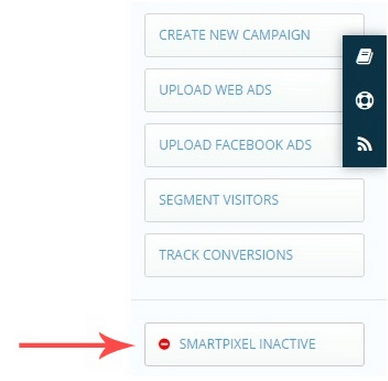 Once your SmartPixel is active, you can create groups of potential customers. Segmenting your audience means that you will focus on specific visitors of your website, according to the pages that they have visited. Let’s say that you have an online bookstore. You can create a segment only for those who have visited the “ Science Fiction Books “, so later you can create ads to offer a discount on these books or to promote new arrivals. On AdRoll, you will find this option by clicking on the “Segment Visitors” tab. 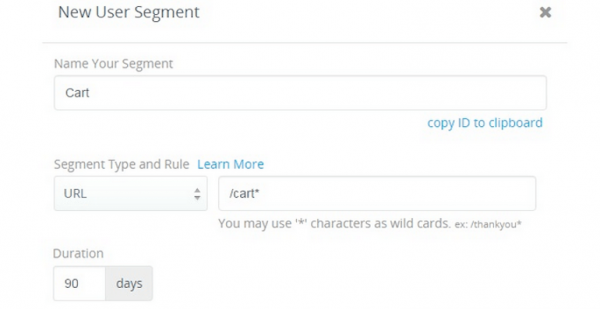 You can start segmenting your audience by adding specific portions of an URL. For example, if you want to create a segment for those who have left the Cart, you may add “ /cart* “ as portion of an URL. You are only doing this to get something out of it, right? A conversion is an action that a visitor takes on your website, such as checking out, subscribing to your newsletter or downloading an app. In order to follow these actions, click “Track conversions”. A pop-up window will open, which is the same that you’ve completed segmenting your audience. The only difference is, that the “ Count this as a conversion “ checkbox is preselected. According to the action that you are interested in, you have to specify a snippet of a URL. For example, in order to set check out as conversion, you may use “ /thankyou* “ as part of the Thank You page URL. 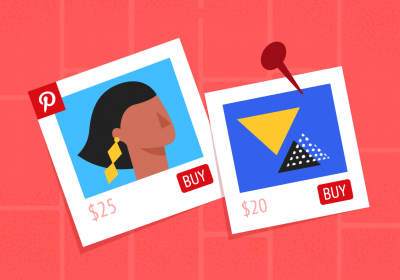 Now you only have to add your creatives and start the campaign. In order to start a new campaign, just click on the “ Create New Campaign “ tab. 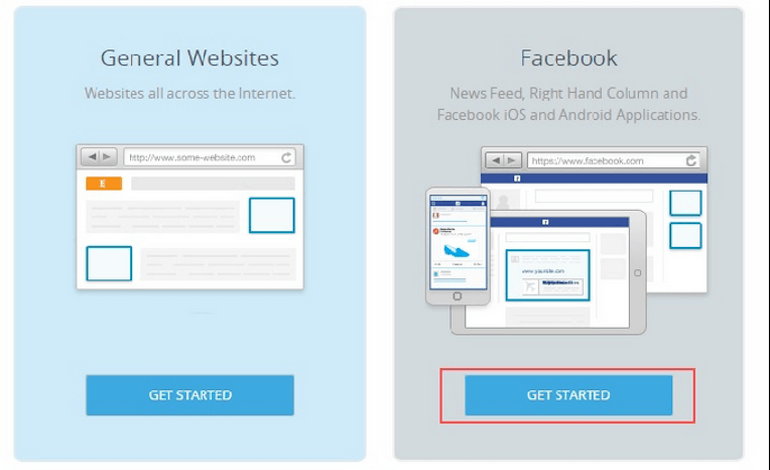 On the next page select the “ Facebook “ option and click on the “ Get Started” button. Complete the next form with all of the requested information. The name of your campaign should help you to identify it later. If you are only testing their services, you should name it “First campaign” or “Test campaign”. Select the campaign’s objective. 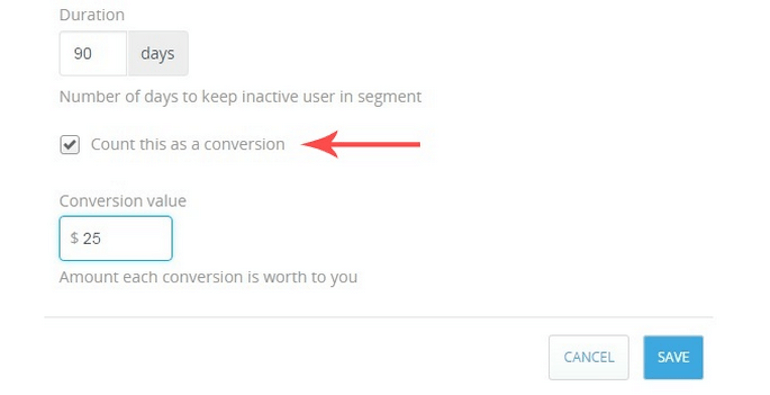 To follow a specific action on your website choose the “Website Conversions” option. When you set the campaign’s schedule, you can activate it immediately or you can define a start date. If you are not sure about the end date, you can leave it undefined. The selected location means that you will retarget your lost visitors in that area. It’s for the best to retarget users worldwide, because you may have potential customers that are travelling or changing IP’s. Click on the “ Next Step” button. 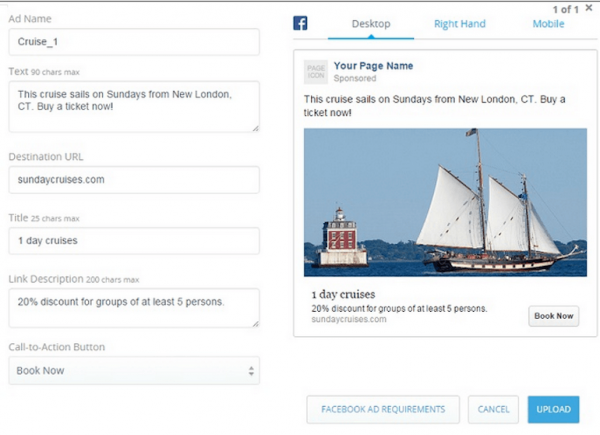 Now you can add your Facebook ads. 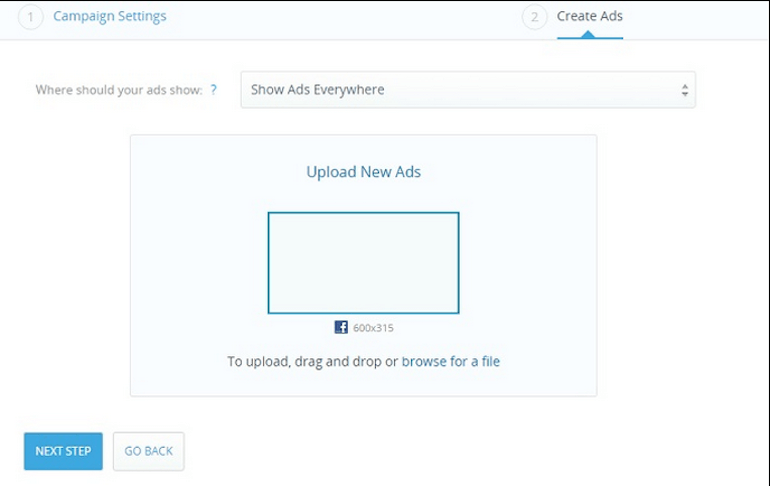 Please keep in mind that your Facebook ads must have less than 20% text and the file size must be less than 1MB. Ad name: Only visible to you. Text: 90 characters max. Don’t forget to include the Call-to-Action. Title: 25 characters max. Make it short and interesting. Link description: 200 characters max. Use it for additional informations, anything that could be important for your potential clients. In the third and also the last step you will have to enter a payment method. You may be confused when it comes to the budget’s size. In order to help you, AdRoll made a slider which you can use to determine a starting budget. Accordingly to the traffic on your website, it will suggest a suitable budget for your campaign. AdRoll respects the requirements for advertising on the Internet. This means that your website will be verified before your campaign would get approved by them. You may check these requirements on their site just to make sure that your campaign will run smoothly. Is your site complete, original and suitable for all ages? Is it easy to understand your product and did you describe it properly? If the answer is yes for all of these questions, then you are almost ready to launch a campaign. But not entirely. AdRoll restricts several type of products, like airsoft guns, drugs, weapons and even online gambling services. Before you would create a campaign you may verify if your product is allowed by them or if it will be rejected. To have a fully functional Facebook retargeting campaign, you will need at least 1000 unique monthly visitors on your website. Would you like to read more about Facebook retargeting? 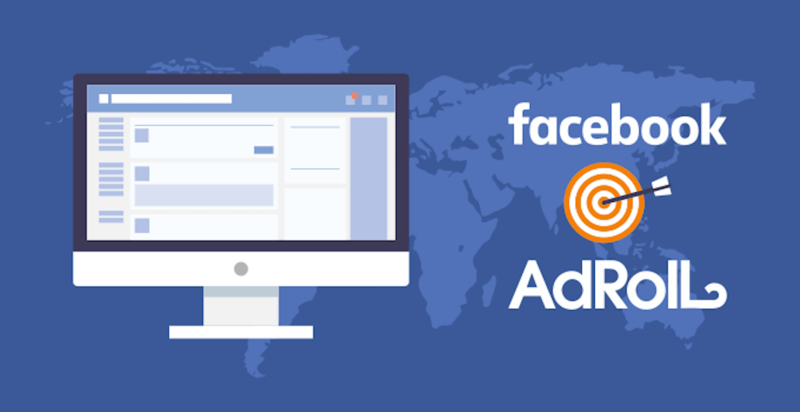 Read more about Facebook retargeting. Retargeting has helped me bring my cost per customer acquisition down drastically!